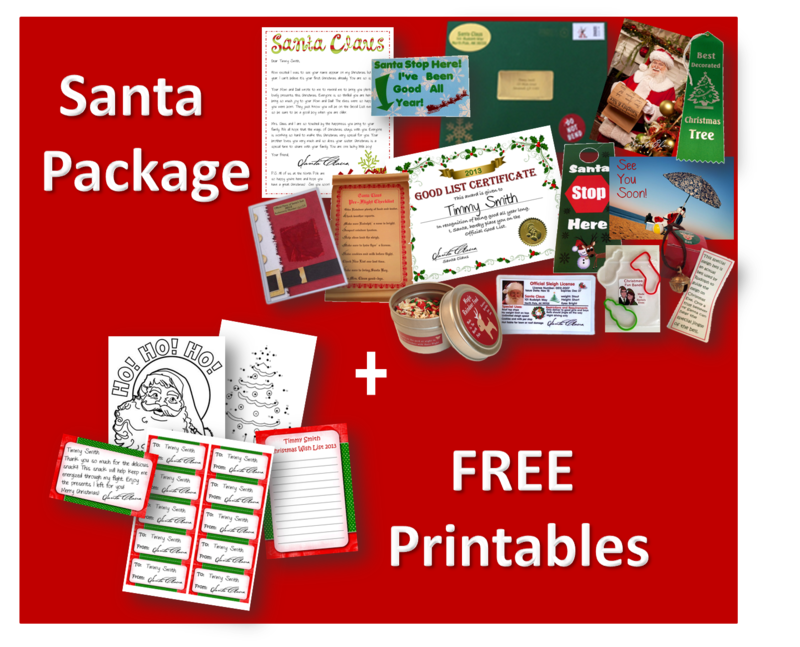 Top Santa letters offers multiple upscale packages for you to choose from or add items individually to create your own package. All packages include FREE shipping! Order today! 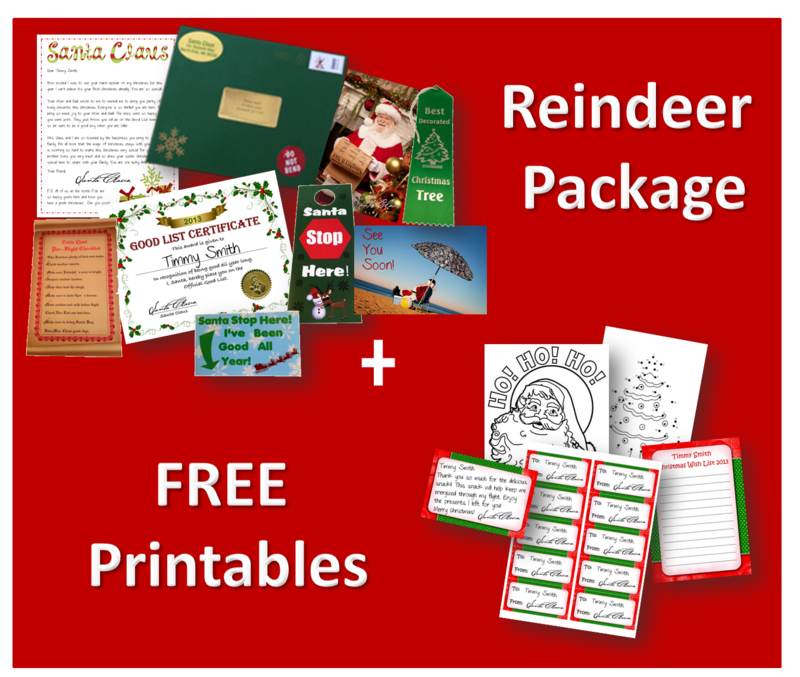 The Reindeer Package is great for children who might need a little more convincing of Santa’s existence. This gift package includes many fun items that are sure to make your child smile. This package is mailed in a red or green envelope, includes a North Pole postmark stamp and is addressed to your child. The Santa package includes so many exclusive, secret gifts that this is the first year a lot of the items have ever been released to the public! Santa has kept some of these goodies hidden away for the top children on the Official Good List…until NOW! This package is sure to wipe away any child’s doubt of Santa’s existence! It is slammed full of gifts, awards, and evidence. Your child will be so amazed when they receive this wonderfully magic package in a Christmas green or red box addressed to him/her specifically in gold labels! 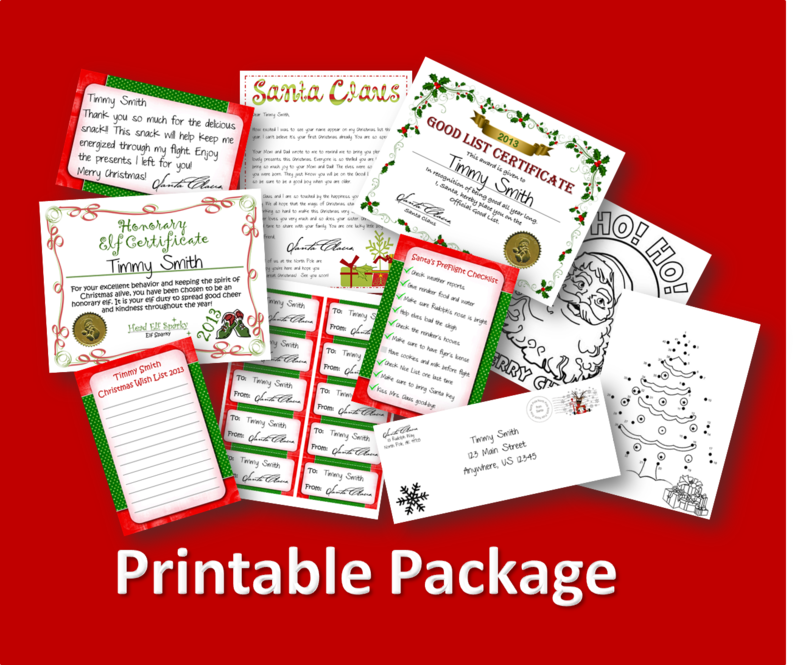 This Printable package from Santa is full of personalized items for your child. Each package includes 10 printable items. Order a Gift Package from Santa for your child today!